Megan Mackenzie, Team Salomon SA athlete and top South Africa trail runner, set out with high intentions for a top 10 finish at yesterday’s third Golden Trail Series race, Sierre-Zinal in Switzerland, but things didn’t unfold as planned. Crippled by stomach cramps and unable to eat or drink for most of the race, Mackenzie fought through to the end, accepting her 23rd place finish as a learning experience that will put her in better stead for her next race. 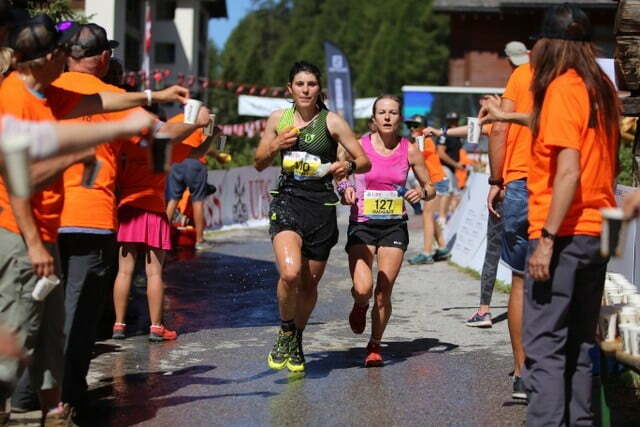 CAPE TOWN, SOUTH AFRICA –Sierre-Zinal, the third race in the inaugural Golden Trail Series, has been the shortest distance to date, but the fastest course. With around 2200m of vertical ascent and 1000m of descent in the 31km, the route is considered “flat” by most elites, which translates to “fast”. Mackenzie knew she had to run a strategic race to secure a top ten finish, but stomach issues thwarted her attempts and she finished 23rd. In the men’s race, the Spaniard, Killian Jornet’s, downhill running was another master-class over the final stretch and he won going away in 2:31:39, besting Scot, Robbie Simpson, by 1:31, as he did a year ago. Kenya’s Robert Surum was third in2:33:18. 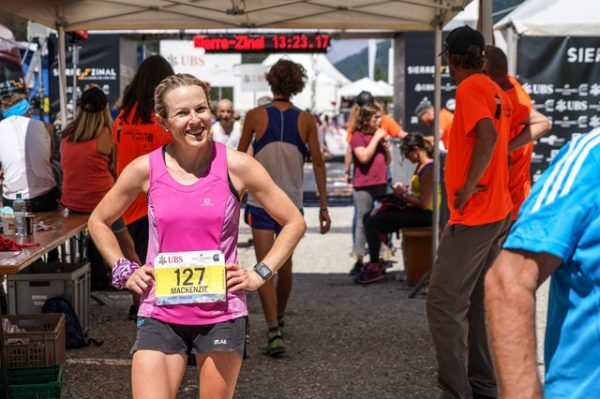 Photo Caption: “I’ve never been happier to see the finish line.” Meg Mackenzie’s words after a brutal day out on the Sierre-Zinal course in Switzerland.